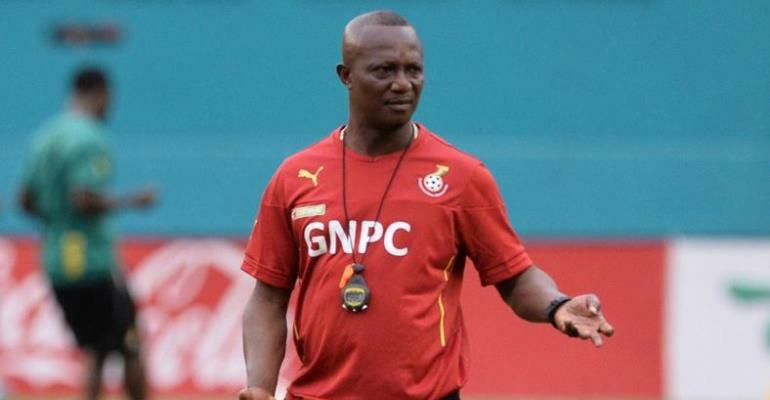 Coach Kwesi Appiah has insisted that he only select only deserving players rather than big names for the upcoming 2019 Africa Cup of Nations in Egypt. Several players have were invited to play for the country in their final Africa Cup of Nations of qualifiers against Kenya and international friendly match against Mauritania. But according to the Black Stars trainer, only deserving players will make it into the Ghana squad for the tournament which kickstarts in June. Speaking before Ghana’s 3-1 win over Mauritania on Tuesday, Appiah said he is keen to give every player the opportunity to justify his inclusion. “Sometimes, the name alone does not count and you need to take tough decisions and go on with the team,” the Black Stars coach said, as quoted by Classfmonline. “Some of them played and I will make sure they will play so that not myself alone, every Ghanaian can assess them and decide whether they are better or we should still rely on those we know already. “It is important that you have such opportunities so when making the final team, we all assess them, know what they can do and what they bring on board,” he added. Goals from Kwesi Appiah, Caleb Ekuban and Thomas Partey were enough to secure a win for the Black Stars. Meanwhile, the Black Stars also beat Kenya 1-0 last Saturday to finish top of Group F in the 2019 AFCON qualifiers. Kwesi Appiah is expected to name his squad for the 32nd edition of the tournament after the draw.